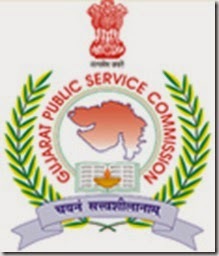 GPSC Recruitment 2015 – Online Apply for Tutor & Gujarat Educational Service Class-I Posts: Gujarat Public Service Commission (GPSC) Invited Online Application For Tutor & Gujarat Educational Service Class-I Post. Eligible Candidates can apply online on or before 13-02-2015. Other details like post name, age limit, educational qualification, selection process and how to apply are given below. 0 Response to "GPSC Recruitment 2015 – Online Apply for Tutor & Gujarat Educational Service Class-I Posts"